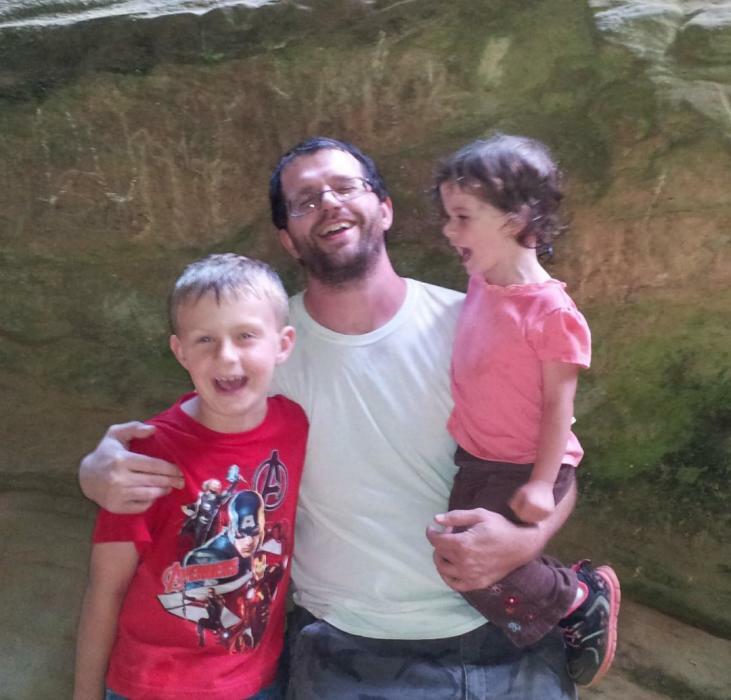 Matthew Robert “Matt” Cornett, age 37, of Wilmington died Thursday, October 4, 2018 near Springfield, Ohio. He was born March 31, 1981 in Wilmington, the son of Bruce C. and Sandra K. Benlehr Cornett. Matt was a loving, devoted father. He attended Wilmington City Schools and Southern State Community College; was an avid collector of vinyl records, gaming systems, and games; and he loved to cook. He graduated from the Southern State Truck Driving Academy and was a driver for NTB Transportation. Matt is survived by his wife Kristina Smith Cornett; children, Lucas Cornett and Lauren Cornett; parents Bruce and Sandra Cornett of Wilmington; brother Chris Cornett of Wilmington; maternal grandfather George Benlehr of Wilmington; longtime friends Cole Hieatt and Andy Spurlock; and several aunts, uncles, nieces, nephews, cousins, and friends. He is preceded in death by his maternal grandmother Lucille Benlehr, and paternal grandparents Robert and Emily Cornett. Visitation will be held Thursday, October 11, 2018 from 5:00 to 7:00 p.m. at Brown Funeral Home, Wilmington. Services will be held privately at the convenience of the family. In lieu of flowers, memorial donations to the family can be sent to Brown Funeral Home, 237 W. Main Street, Wilmington, OH 45177.